To start this quest, go to Varrock castle and speak to King Roald. The King tells you that Morytania and the Wilderness are becoming a bigger threat to the southern areas. For quick communication between the southern areas, they have set up light beacons, which the King asks you to check out. He asks you to talk with Blaze Sharpeye, who is located by the River Salve, south of the Temple of Paterdomus. Before you leave, take as many logs with you as you can, because you will need 45 logs in a place that is quite far from any banks. 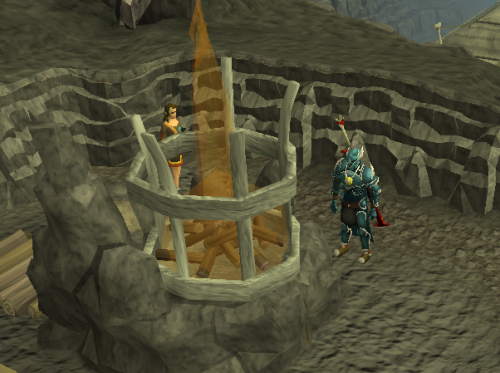 A tinderbox is needed for this part and a woodcutting axe is recommended. You can either walk there or use Kharyrll (Canifis) teleport which shortens your trip. Once there, speak to Blaze Sharpeye who tells you that there are a total of 14 beacons located on the west and south borders of the Wilderness. He asks you to light a couple of them for testing purposes. The secret behind lighting the beacons is simple: Make a pile of 20 logs and light it up. At this point it becomes clear that Blaze Sharpeye is a pyromaniac, doing the job of his dreams. He asks you to light the beacon next to him. For this you need 20 logs of any type (provided you have the firemaking level to light them) and a tinderbox. 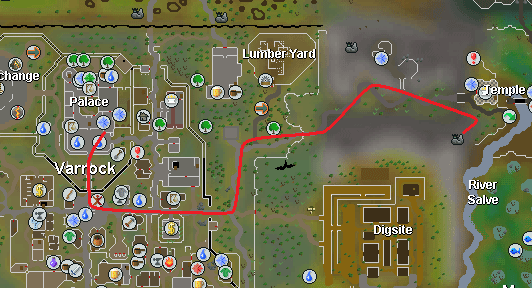 You can cut the logs yourself from the nearby trees or you can go back to Varrock and buy them from the Grand Exchange. When you have the logs, simply select the "Add-Logs" option on the beacon near him and then choose the "Light" option. Now talk to Blaze Sharpeye again and he asks you to light another beacon to the west. All of the beacons are marked on the world map with a beacon sign which is easily identifiable as it looks exactly like the first beacon. 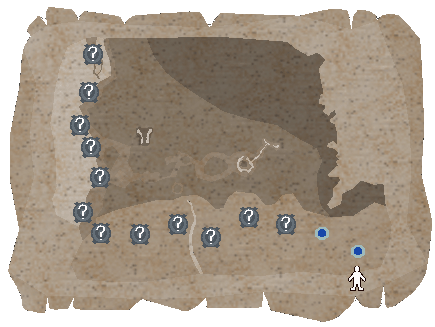 Make your way to the beacon northwest of you, through the area where the Rag and Bone Man quest start point is. Light this beacon the same way as the last one and talk to Squire Fyre. She tells you to report back to Blaze Sharpeye. Meanwhile, the first beacon's fire has become smaller, so you need 5 more logs to make it burn more intensively. After doing that talk to Blaze again who tells you to talk to King Roald. Make your way back to Varrock and speak to him to receive a reward. After this he also tells you about the new Activity and the rewards. This Activity is about keeping as many beacons lit at the same time as possible. You get rewards from King Roald for 6, 10 and 14 lit beacons. 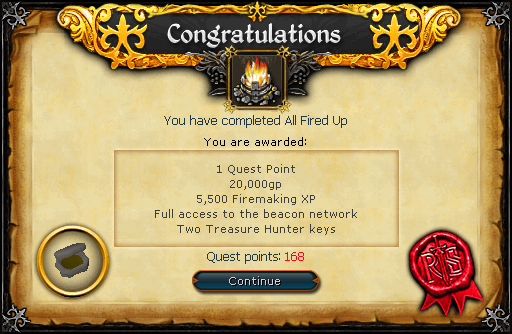 6 beacons: Firemaking ring which gives a small percentage of experience boost per log. 10 beacons: Gloves with the same effect as the ring, the experience boost stacks up. 14 beacons: 2 in 1 woodcutting axe and pickaxe. As mentioned in the quest, better logs allow the beacons to burn longer so using the best logs possible is recommended. Normal logs burn for roughly 10 minutes and magic logs burn for 20 minutes. The beacons are located along the west and south edge of the Wilderness. If you want to find out which beacons are currently burning, talk to any of the people that take care of the beacons to see a map similar to this one. [^] Talk to King Roald. [^] Talk to Blaze Sharpeye. [^] Light the nearby beacon. [^] Light the beacon to the northwest. [^] Talk to Squire Fyre. [^] Use 5 logs on the nearby beacon.